The Fremont (Neb.) Plant of Hormel Foods Corporation (NYSE: HRL), announced today that it has donated $10,000 to the Hope Center for Kids for its summer lunch program. The program is for children on the free or reduced lunch program during the school year. The Hope Center, along with the United Way, The Salvation Army, local churches and other organizations host the program, which provides transportation, lunch, a learning curriculum, games and other activities. The facility donated $10,000 to the Hope Center in 2017. The Hope Center has been supporting children for 20 years; helping children and youth see beyond their circumstances. In 2014, the Omaha Hope Center expanded to Fremont, which has grown the number of children and families served to 2,700 each year. 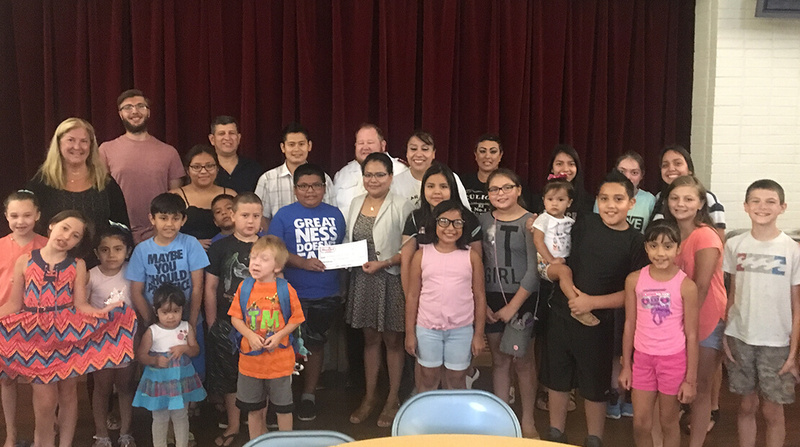 The Summer Lunch Program, with the support of The Hope Fremont, provides meals to children, youth and families during the summer. The number served has been between 500 and 700 for the past few years.